Sunday 30th June The Windmill’s Sponsored Walk from Clayton Windmills to Ditchling Beacon. Sunday 30th June The Windmill’s Sponsored Walk from Clayton Windmills to Ditchling Beacon. 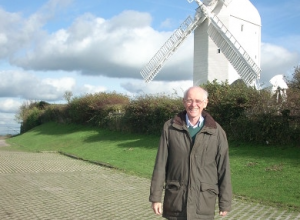 Bill will lead the walk along the South Downs Way from the Jack and Jill Windmills at Clayton to Ditchling Beacon and back. Supporters can meet us afterwards at the Jack and Jill Pub at Clayton, for lunch. You can sponsor Bill at Just Giving. For further details and relevant forms please contact reMEmber.